The big world is in for a chilly treat, as our trusty Canadian groundhogs have predicted 6 more weeks of winter. Luckily, in our miniature Ottawa, our tiny citizens are enjoying the fresh and aromatic air of Spring and tulips! Our winter has been warmed up by some exciting “big” investor news, and the GO LIVE of our small investor campaign, which is just around the corner! Read on for a wee tour of what’s been happening this month – it’ll warm your little toes and big hearts. Our New Year’s resolution to secure investment to launch just got a big boost. We’re thrilled to announce an investor group out of Richmond Hill as our first “big” investor. Through our early meetings with this group, it quickly became apparent that we shared a passion for capturing the vast beauty and diversity of Canada, and bringing it a little bit closer. 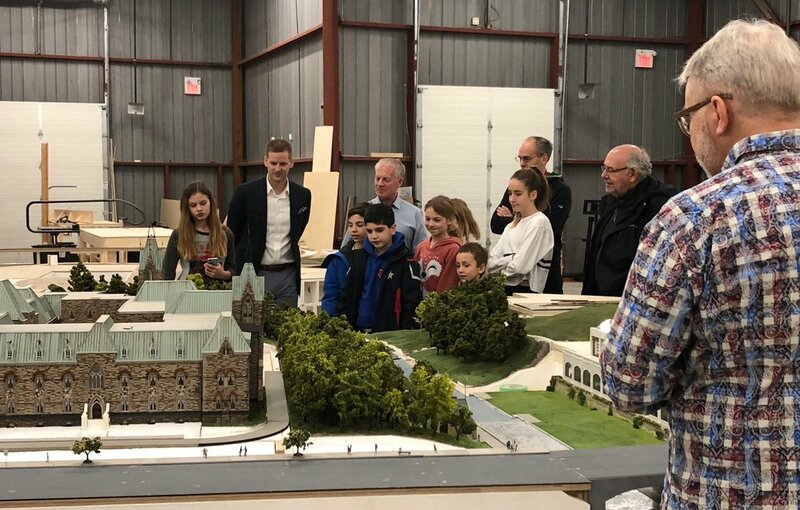 The investor group did their homework, sending crack-investigative-teams of families and young adults to our pilot site to test the appeal of our attraction. We’re happy to have passed that test – including a 4.7 out of 5.0 “rate this attraction” score on the surveys they completed – and more importantly, to partner with a new investor who is as excited as we are about the potential of Our Home & Miniature Land. 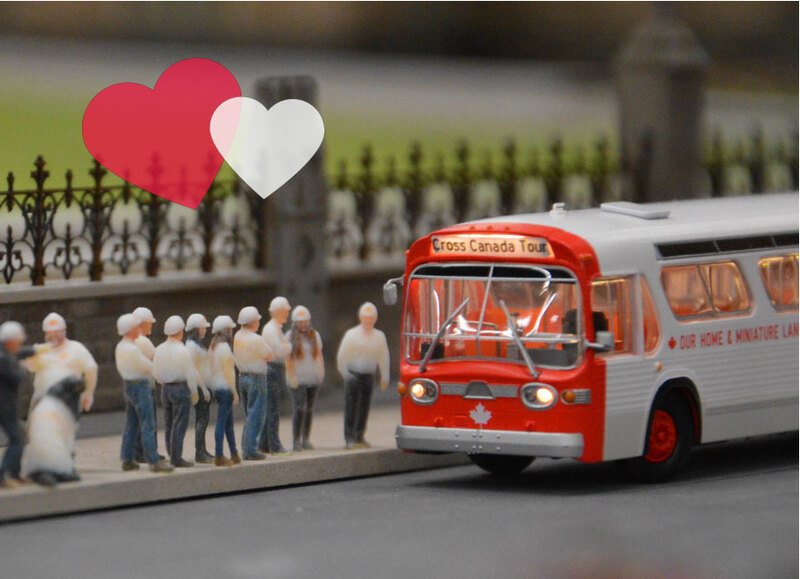 This Valentine's Day reserve your spot on the "Canada Love Bus"
Love-of-country is in the air this Valentines Day, a perfect time to reserve your investment in Our Home & Miniature Land on FrontFundr. And it's a perfect time because our Go LIVE date is just around the corner. For as little as $1,000, you can buy shares in Our Home & Miniature Land at the same price as our “big” investors. And it’s a straightforward process with FrontFundr, a Canadian company who is enabling small investors to invest in companies they believe in. You can reserve your investment, via our website www.miniatureland.ca or at www.frontfundr.com. Stay tuned for our GO LIVE date! 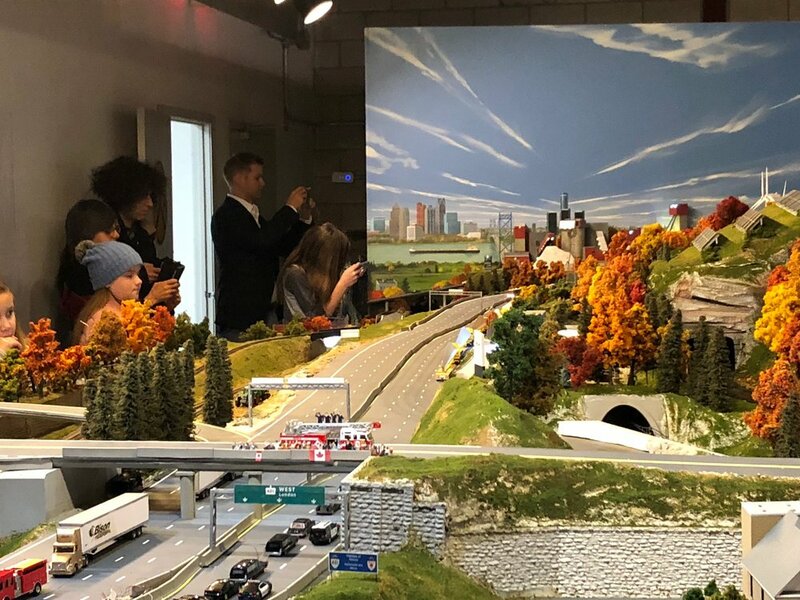 Everything is local in our miniature world, and last week YourTV Halton visited our pilot site to do a story on our growing miniature Canada for their Halton region viewers. YourTV Halton got a sneak peak of the new developments in our Byward market and on Parliament Hill, and captured some great shots of our moving cars, trains and bicycles. We love the pop of colour in this video. And you’ve never seen the Roger’s Centre dome open like it does at minute 1:22! Thanks YourTV Halton for highlighting our small investment opportunity. For more information, play the video from the 1:48 mark to find out how you can be a part of something small! A “Big” attractions player gets into miniature worlds, and Jean-Louis checks them out! Miniature World attractions are popping up around the world like tulips with the first melt of spring. This past month our intrepid founder, Jean-Louis, dropped in on one of the newest miniature attractions, Little Big City Berlin. This attraction lies at the base of Berlin’s TV Tower and was created by Merlin Entertainments, the masterminds behind iconic attractions such as Madame Tussaud’s and LEGOLAND Discovery Centre. Little Big City Berlin is an interactive, animated tour that offers guests a way to experience the place they’re visiting all under one roof. Hey, does this concept sound familiar to anyone? With over 700 years of history to tell, this miniature adventure packs the stories that have shaped the city of Berlin into an hour or two. Check out the photos from Jean-Louis’ visit here! New! Travel to Ottawa by high-speed train… courtesy of Bob, our volunteer Builder. Our mini-citizens now have a super-fast way to get around – underground! We’re happy to unveil our NEW Ottawa high-speed train station. 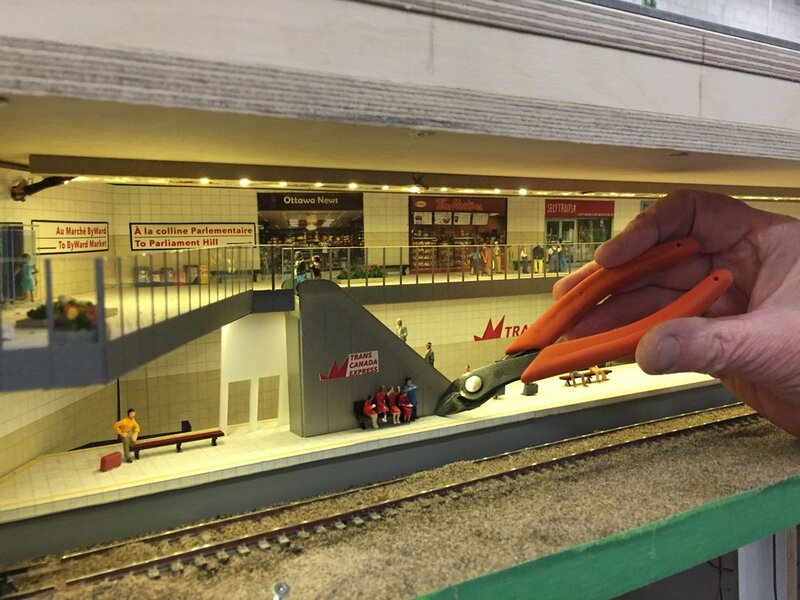 Created by one of our talented and dedicated volunteers, Bob, or “Bob the builder” as he likes to be called, this bustling underground depot is ready to handle any and all of Ottawa’s mini-commuters and mini-tourists. Tiny train travel is all about the details – from well-lit platforms to a Tiny Tim Horton’s, to the friendly train attendants from our Trans Canada Express. Bob admits to a soft spot for these tiny attendants! And we have a soft spot for Bob. Thanks for your wonderful volunteer effort, Bob – we couldn’t do it without you!